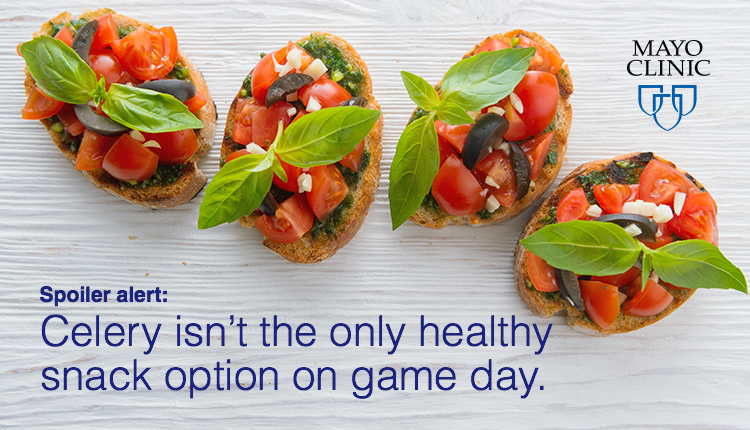 Is the only healthy snack on Game Day appetizer table the celery next to the buffalo chicken wings? Mayo Clinic has a variety of healthy appetizer recipes such as tomato basil bruschetta, sweet and spicy snack mix and southwestern potato skins. Mix it up a bit to incorporate healthy, yet delicious snacks. Your guests will thank you! Is the only healthy snack on Game Day appetizer table the celery next to the buffalo chicken wings.